Subscribe now and make use of the best Philippine marriage agency and matchmaking services to meet gorgeous Filipina women to date and marry! Finding your one true love can be a long, tough journey, but you should never get tired in the name of love. The reason you could be having a tough time finding the right person is because you’ve been looking in the wrong places. Love is in the air as they say, and in order to find that special someone, you need to broaden your options first. Have you ever considered trying out a new method you’ve never done before? Take a step away from your comfort zone and broaden your options in finding the love of your life --- here in the Philippines. One of the finest women in the world are the ones living in the tropical “Pearl of the Orient”. Philippine women are island ladies spread throughout more than 7,000 islands in the country. Among these gorgeous local women are single Filipina ladies seeking marriage. They not only seek a committed and loving relationship with local men, but have extended their search by doing online dating and joining reputable marriage agencies to find love with foreign men, such as yourself. Here at IslandLadies.com, you can come across numerous authentic profiles of sincere women who have successfully passed our in-depth screening, all with high hopes of finding their ideal husband. 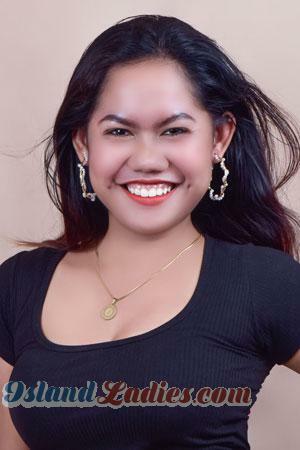 Possessing conservative values with a dynamic personality, a positive outlook on life, and other more endearing attributes, each Single Filipina girl is surely an ideal mate for life. The Philippines has increasingly become known globally, particularly in the beauty pageant industry, which has ranked Filipina women among the most beautiful races in the world. This can be attributed not only to their beautiful appearance, but also due to their unique and fierce personalities, which always puts them on top. A modern Filipina is a product of diverse origins, with its Austronesian roots with Spanish, Chinese, and American influences. Indeed, the Philippines is a micro-melting pot. As a reputable foreign singles’ introduction agency, we are driven to help you find the love that you have been dreaming of in one of the islands of the Philippines. For the security of all parties involved, our local staff performs a critical process from pre-screening, interviews, and verification of every applicant’s information before they get posted. This helps in ensuring the authenticity of our services and this way, you can be confident that behind every image is a real woman, potentially sharing common values, aspirations, and ideals in marriage with you. If your decision to meet your Philippine bride is final, then sign up for free and experience the services offered by the best Philippine marriage agency and matchmaking services. As soon as you successfully create your account, you will gain full access to all the details and services you need in meeting Philippine brides. You might believe that true love is a game created by fate, but why wait idly for destiny to work for you, when you can take those first few steps and change your destiny forever? Is there any real reason to wait, before finally meeting your very own stunning island bride? Throughout history, Philippine women have attracted many foreign men, particularly those who visited the country in the hopes of colonization. In fact, many of these men have decided to settle down in the country for good. Without a doubt, the Philippines has been a desirable spot for interracial marriages. Due to the continuing rise of interracial marriages in the country, the Philippines has become the home of many mixed-blooded individuals. This makes them a unique race among the rest. Filipino women can easily be distinguished in a crowd. Unlike Chinese, Spanish, or Russian women, their physical characteristics cannot be boxed into one description alone. A Filipina carries diverse cultures and physical features, making them exceptionally and uniquely beautiful. The Philippine women seeking marriage in Island Ladies are among those who possess defining qualities of a Philippine woman. Filipinas are known for being warm-hearted, hospitable, respectful, resilient, faithful, and the list goes on. These core values were passed down from their ancestors and several colonizers in the country’s history, which have made them refined individuals today. There are many striking attributes that will give you sufficient reasons to love Philippine women even more --- including how easygoing and pleasant they are to be with. Their unceasing optimism and self-effacing sense of humor makes them the best company that you would want to spend the rest of your life with. Beautiful and sincere Philippine singles have signed up here to be your bride for life! Find her among hundreds of profiles posted on the best Filipina marriage agency’s website. Fall in love with the culture of Filipina women, join one of our romance tours to the Philippines! Due to the rise of modern advancements nowadays, online dating and matchmaking services are becoming a trend. There are a good number of them you can choose from, however, it’s important to choose the best and most credible among them, in order to truly maximize their available services. Island Ladies is a top choice, as it has an outstanding reputation in the singles' industry in the Philippines for several decades now. We envision security, legitimacy, and success for each of our clients. With our continuing effort to maintain outstanding customer service for over two decades now, we offer personalized matchmaking services perfect for you, along with our world-famous singles' tours. 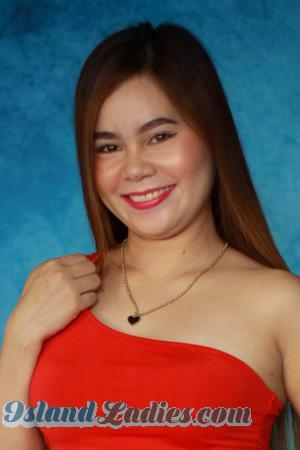 Here in Island Ladies, our clients are our top priority and we are fully committed to helping you find a relationship with a sincere and stunning Philippine woman that will last a lifetime. We are proud to share to you the success stories of our valued clients; your success is our success as well. One service that we are proud of is our singles’ tours. Experience it firsthand and get to meet Philippine women behind their profiles in the flesh; looking for a foreign man just like you. These women’s natural beauty isn’t the only aspect that can capture your attention, as the country also holds many scenic locations within its 7,107 islands. During the week-long events, you will also have the time to explore some of the country's significant and world-renowned locales. The first step that you have to take is accomplishing the sign up form, registering your place, reserving an available spot on the tour that is of your most interest, and reviewing all the details concerning your specific chosen tour. Registration is both free and easy-peasy. As soon as you’re finished signing up, explore our website by browsing through different tabs and view the profiles of all the women who have also joined on our site. Enjoy viewing their photos and learning more about them. If you wish to communicate with the lovely lady of your choice, just follow the instructions stated on the same page. We can't wait to hear your own success story, like our many satisfied customers' testimonies! 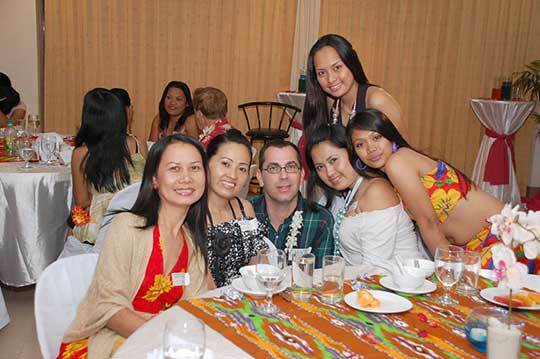 Truly, Island Ladies is your best option for romance with a Philippine woman. Take the first few steps, to become closer to the woman of your dreams. The flagship of our service package is our critically acclaimed singles' tours. Our world-class matchmaking services are also guaranteed and to avail of it, it’s as easy as filling out your profile. No algorithms, no robots matching you based on data; our real, live, and professional team of experienced matchmakers are working towards your romantic adventure. Once you have created your account and entrusted your personal data, our matchmakers will go to work for you by introducing your profile to thousands of women who have been screened and interviewed by our agency. The service professionals in Island Ladies will then manually match you with women according to your preferences and personal information, with those dates you have scheduled. During the entire duration of your week-long Philippine romance tours, you will be accommodated with all the amenities of a 5-star hotel in the host city. Our staff and event organizers will also attend to all your needs, 24/7, making sure that you will experience the full extent of satisfaction in our tour. The most important and exciting part of the tour is the social gathering; an event that you should not miss! In this event, you will personally meet the fascinating women behind the profiles you have viewed and those who came to find their future mate and for you to choose the one you are going out on a date with. Don’t be intimidated by language barriers, personal translators are present during the night event to assist everyone and ensure understanding and love between all individuals involved. Inclusive in our singles' tours, you will also be guided to the most beautiful spots within the city where our event will take place. This isn't just finding love, but finding yourself in a totally new place. This is a vacation you have not ever gone on, a time for you to slow down and breathe freely. This is just a special gift from our team for you to be familiar with the home country of your Filipina bride-to-be and potentially, your future residence if you decide to settle in the Philippines for good. We have prepared a Philippine travel itinerary just for you. We are not just excited to show you the beauty of the people in the country, but also the stillness of nature and provincial life, the majestic remnants of history, and the priceless elegance of the “Pearl of the Orient”. Security may concern you, but it should not hinder you from having a most enjoyable experience. We are accountable of your safety and it is our primary concern. With over 20 years of tours under our belt in countries across the globe, we have won the confidence of our clients in terms of safety and security on the course of their search for international love. 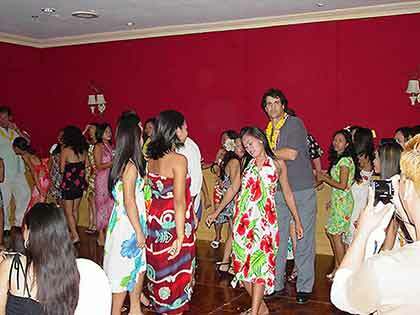 Island Ladies is the best Philippine marriage and matchmaking agency within the industry. Sign up today and give us the chance to change your life for the better, just as how our past clients have given us the opportunity to become the bridge that connected them to their foreign bride. Why wait? Take the first step today and you too, could be waking up to a loving and fulfilling relationship with a Filipina in the near future. For questions or concerns, feel free to reach our hotline and customer service during our regular U.S. business hours. Our full-time staff is just one call away.